Many diets out there, think so! But is there any real evidence. There is a popular opinion that it does because our digestive system slows down in the evening hours as it gets ready to rest and rejuvenate. When we eat at these late hours there are not enough digestive enzymes to properly digest food. However, conventional science maintains that it is a dietary myth that food eaten just prior to bedtime turns into fat. According to the Mayo Clinic, weight management comes down to calories consumed and calories expended. According to research published in the “American Journal of Nutrition” in October of 2008, those who consume snack foods at night are prone to weight gain. Those who overeat during evening hours are also more prone to weight gain. However, those who overeat at any time throughout the day are just as likely to gain weight. 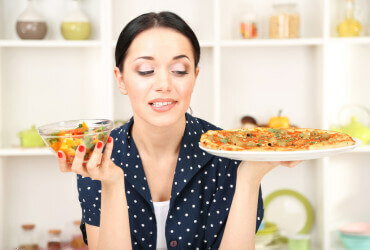 In other words, eating at night may seem to lead to weight gain, but the cause is not physiological rather behavioral. Simply put, bad eating habits are more easily made at night! Emotional eating after a long hard day or as a result of boredom is common at night. Reasons for not eating close to bedtime are more about quality of sleep, and I will discuss this at a different time. Conclusion: Make sure you are not skipping meals throughout the day. Reinforce good eating habits at all times, especially at night, when it is a greater challenge. There does not seem to be any hard evidence that eating at night adds on more calories or specifically makes you fat.